As hard as we may try to avoid it, there’s just no accounting for what human error and Mother Nature will throw your way when you’re on the road. Lucky for you and your Ford F-150, Escape, Fusion, Explorer or Focus, the Ford service and repair team at Haggerty Ford Inc. is here to the rescue. The experts in our auto service department know your specific Ford vehicle like no one else, ensuring your vehicle continues to exceed your expectations. Regardless of whether you hail from West Chicago or one of the surrounding areas we proudly serve such as Aurora, Naperville, Wheaton, Batavia or Saint Charles, getting in touch with our service department is easy. Just fill out one of our online contact forms, let us know what your issue is and we’ll take it from there. 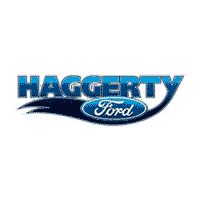 After all, keeping your car healthy and driving is what we live for here at Haggerty Ford Inc.